While cute and shippable, the Sora and Kairi pairing gives Kairi a lesser role in the action, and she deserves better than that. Listen, I’m not knocking Sora and Kairi (SoKai) shippers. I get it, there’s context out the whazoo for their canon confirmation. That being said, full Kingdom Hearts 3 spoilers will follow. While I would have been a lot happier to see Disney and Square make a brave move in making Sora and Riku a canon couple, Kingdom Hearts 3 instead decided to pull a Cursed Child and bring in a heterosexual relationship at the last minute, even though a homosexual one would have contextually made a lot more sense. 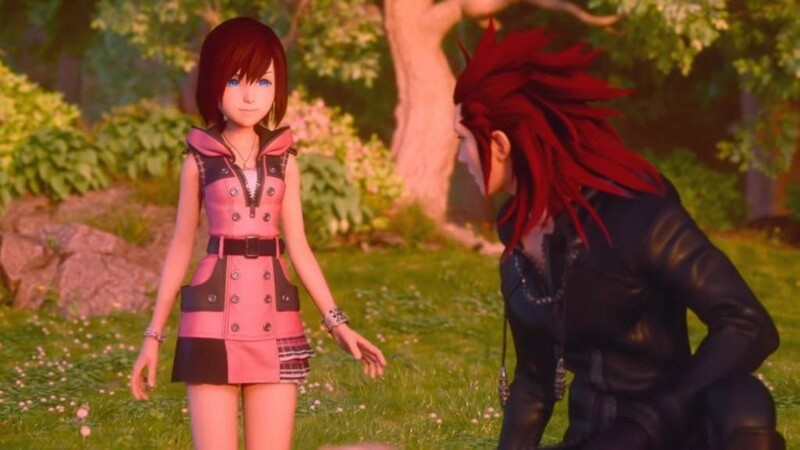 But I digress, we’re not here to discuss ships; let us instead discuss Kairi’s shelving in the Kingdom Hearts series so that she could advance the plot of her love interest in Sora. But she didn’t. Kairi is still using the same keyblade that Riku conjured out of thin air for her at the end of Kingdom Hearts 2. The thing is, she probably killed more Heartless then than she did in the entirety of Kingdom Hearts 3. In KH2, we’re meant to see her stepping up to take a more active role, with her standing up to Axel a bit, and fighting to protect Sora after he was nearly taken over by the Heartless. There was progress here, and it always felt like it was in the direction of protecting those that she loved. This progress is halted in Kingdom Hearts 3. Our opening sequence of Kairi starts off a lot like it did in Kingdom Hearts 2, with her writing out a letter to Sora detailing how much she wishes she could be with him. It was sweet, but also telling of how the Xehanort saga’s finale was going to treat her. Kairi has apparently been training, but it’s not as if we see any of those results, seeing as the only time she actively fights, she lightly strikes at a couple of Heartless. Why bother having her train to become a Keyblade wielder if she wasn’t going to actually do much in the final battles? The answer is simple: Sora needed someone that he cared about that was both susceptible enough to get taken by the enemy, and had not proven themselves in combat enough to escape the grasps of Xehanort. Hey, I get it, Xehanort’s a strong guy. But for Kairi to not even put up the slightest struggle? That was abhorrent. Instead, we see Kairi floating in front of Xehanort, as he slashes into her lifeless body, pushing Sora and co. to break through the Darknesses’ forces. Did we really need that though? Why Kairi? Why Kairi again? She already played this role in Kingdom Hearts 1, and to some effect, in Kingdom Hearts 2. Wouldn’t you think there would be another means to move the plot along by now rather than the “damsel in distress” trope? When it comes to Kingdom Hearts 3, the writers apparently thought that it was appropriate. We skip a bit of the context as to how Kairi gets her heart back by the end of the game, but it can be assumed that Sora had to sacrifice some part of himself to save her. Why couldn’t it have been the other way around this time? 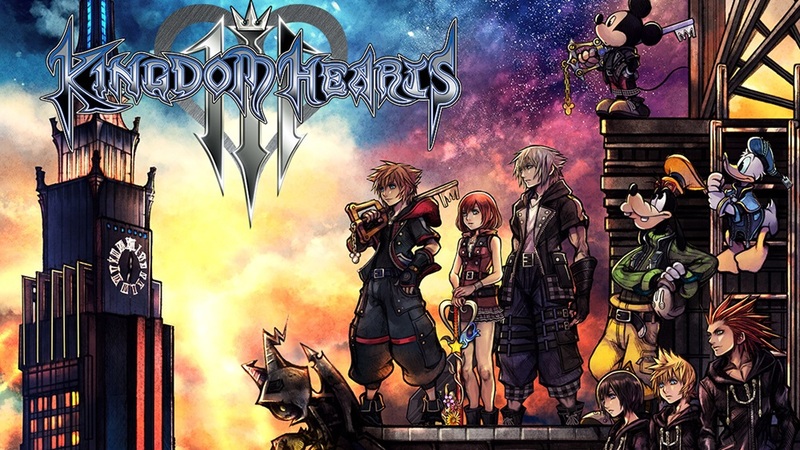 Will 'KH3' see Riku and Sora as a couple? Instead, we once again have Kairi being sent back safely to Destiny Islands to be shelved while her OTP goes off to fight the good fight. While the ending secret movie already confirms that Sora will be in another Kingdom Hearts, we can only assume that he will fit into a similar arc in whatever the next Kingdom Hearts title is called: fighting to protect his home and love interest. It’s gotten old, and Kingdom Hearts 3 should have given Kairi a better chance to stand up for herself. Princess or not, Kairi should not be defined by the person she loves or the role he has in her life. Sora and Kairi shippers are still so very valid, because SoKai do have their moment during the last scene before the credits. At that, shouldn’t we be asking ourselves if the way we got to the endgame ship was worth it?